Make an impact with our beautiful bows and sashes, designed to add decoration to your event seating. 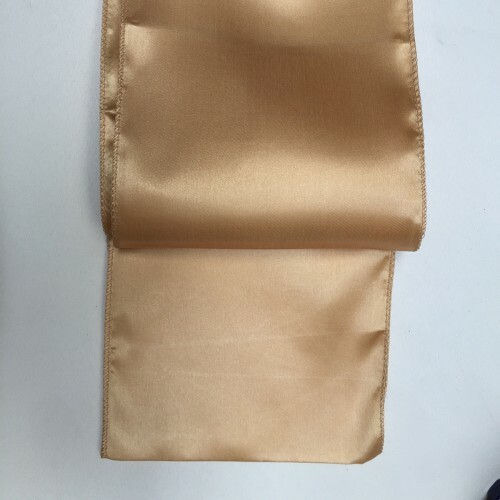 Whether you use them along with our premium wedding chair covers wholesale UK or on their own, these extravagant adornments will add an extra special touch to any wedding or event you are planning. 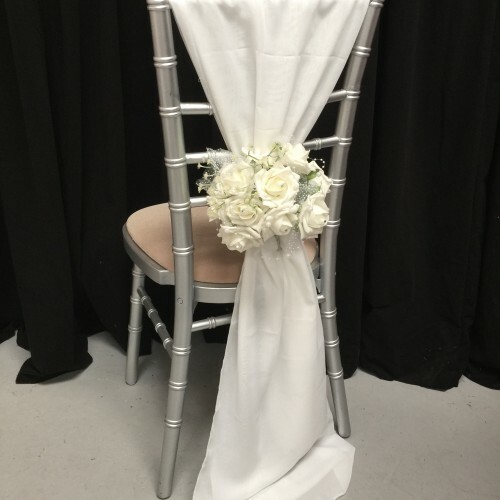 There are various ways you can upgrade your event chairs, including traditional satin sashes, silky lamé bows, chic chiffon bows, delicate organza bows, simple lycra chair bands and decorative bands with buckles. If you like the look of the chairs you are using, these embellishments are the perfect final detail to bring a banqueting theme together. If you’d prefer to cover the chairs, our white chair covers provide the ideal backdrop so that the colour of your stretchy bows really pops. 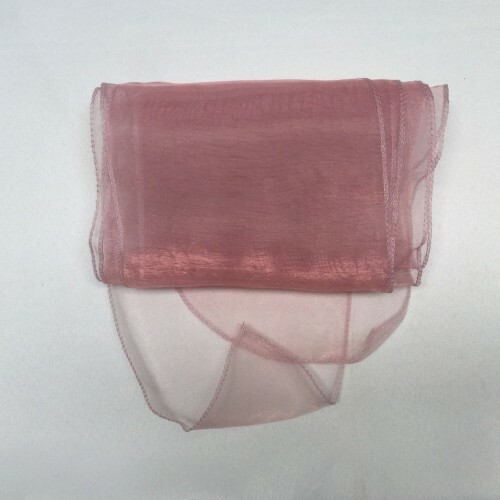 Every occasion calls for something a little bit different and as a trusted and experienced manufacturer, our high-quality wholesale fabrics can be purchased in bulk, keeping those event prices down. Our huge range of wedding bows and sashes means that we are sure to have what you need to satisfy your event theme. 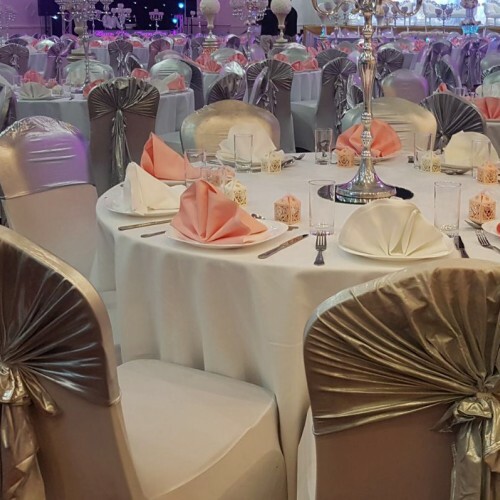 Different styles, shapes and sizes are complemented by a wide variety of colours, so that all the finishing touches are complete, and every detail of the event is taken care of. Stick to one colour or design throughout or mix and match for a more exciting look. 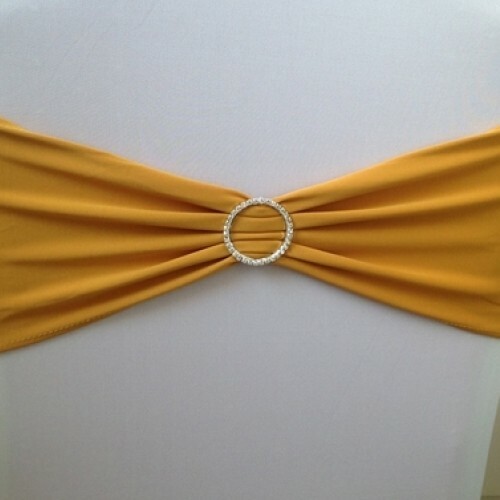 We choose our fabrics based on the quality of the material, knowing that we are the preferred supplier of event planners and venue decorators and that these bows and sashes may need to be used again and again. We also offer next day delivery, so that any last-minute emergencies and changes of themes can be catered for.